Successfully Added Mobile Harddisk External USB Drive Enclosure to your Shopping Cart. Sturdy and great wholesale value 3.5 Inch IDE hard disk external enclosure for storing up to 500GB of digital files. 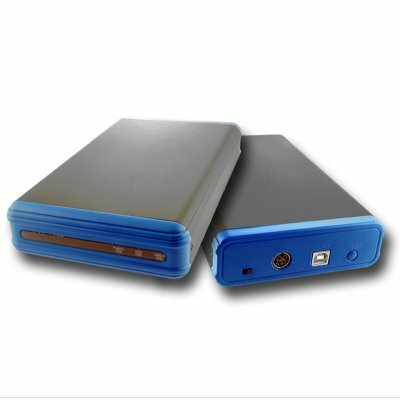 Making the information on your computer mobile can be both very easy and incredibly convenient to do with this low price hard disk enclosure direct from China. As an added bonus, each item comes with a powerful File Manager Program for fast setup and use, as well as a one touch backup key built onto the case itself. Chinavasion offers this great deal with no MOQ, so order a single sample order, or move on to bulk orders for larger wholesale savings.